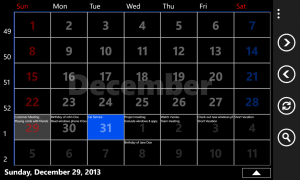 The year 2013 will be over soon and I want to wish a great new year 2014 to everybody! 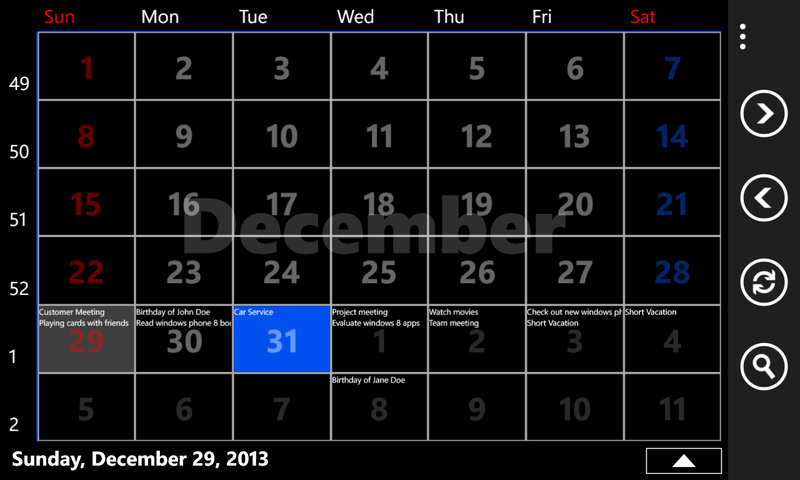 The last days I had a bit of time to complete adding an additional ‚month view‘ to my app ‚Week View‚. I want to fix a few things and do some more testing. I am planning to release the next update of Week View soon, which will contain the new ‚month view’…and some other new features. A view like this was suggested by many uers of my app, so i added it. 🙂 It shows a whole month, the days of the month are „clickable“ and selecting a date will show the appointments on this day in the list below. 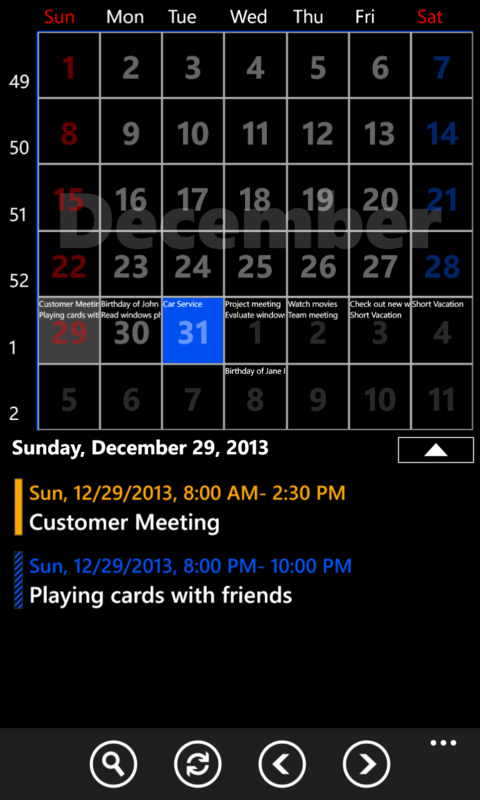 While tesing this on my new Nokia Lumia 1520 I thougth: Why not make use of the large full hd screen? 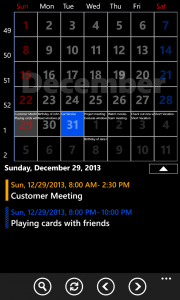 So i added the option to collapse the appointments list and show the calendar in ‚full screen mode‘, which is especially useful in landscape mode since it allows you to see a whole month with readable appointments – something that the month view of the build in windows phone calendar does not provide.